EXCLUSIVE! Ready. Aim. Awesome. 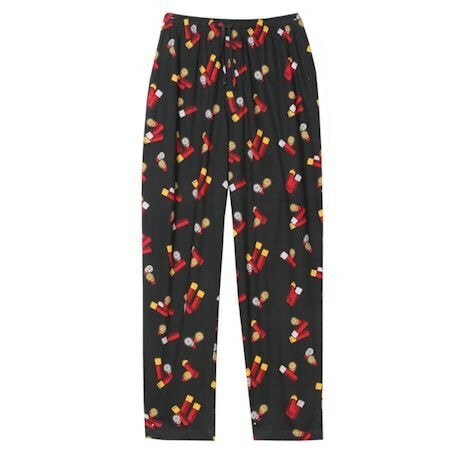 Our exclusive lounge pants are a total blast, featuring brightly colored ammo against a super-soft black fabric background. Elastic drawstring waist plus convenient pockets. Machine wash. 100% cotton jersey. Imported. S-XL.